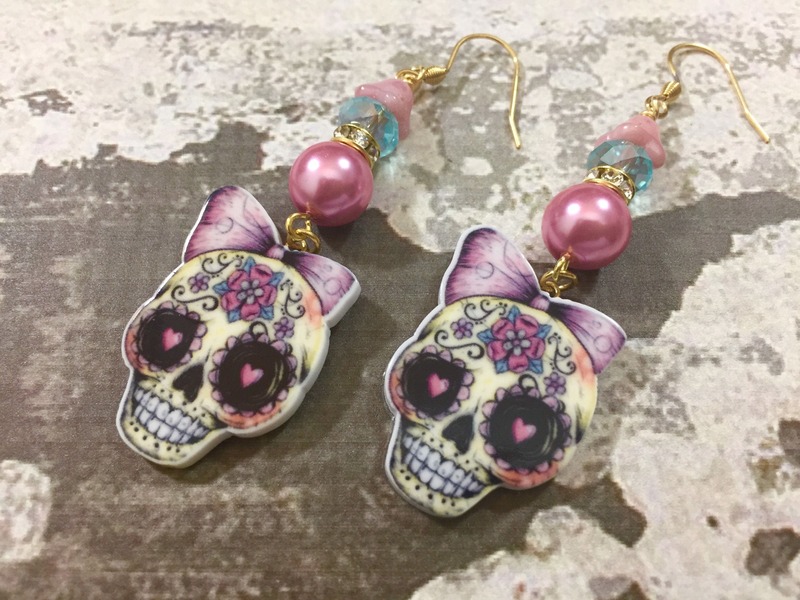 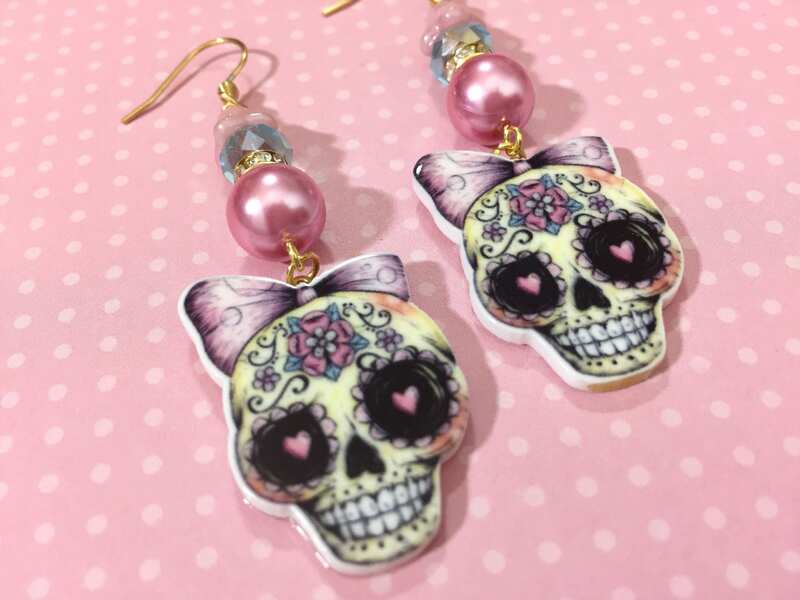 I made these Day of the Dead sugar skull halloween earrings with adorable girlie sugar skulls with pastel face painting and a lavender / pink bow, pink glass pearl beads, rhinestone beads, sparkling blue glass beads, pink czech glass flower beads, gold toned findings, brass findings, and gold toned surgical steel ear wires. 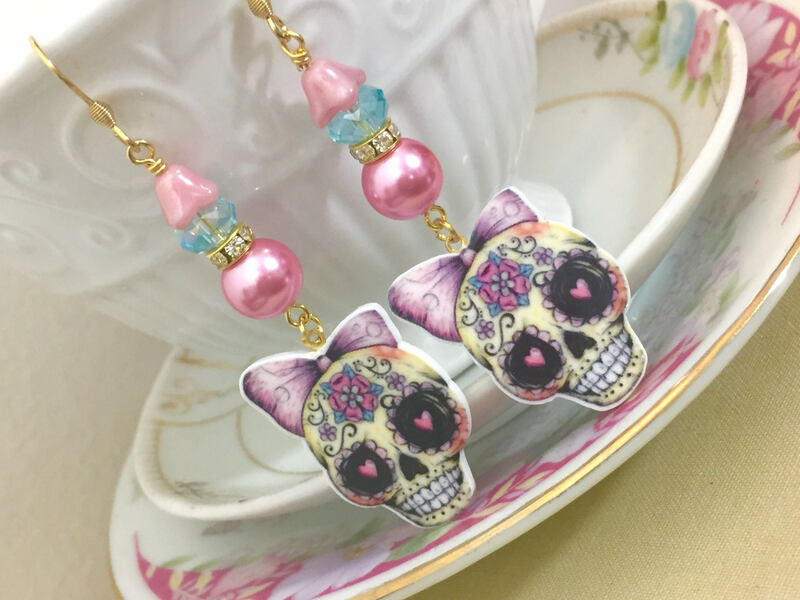 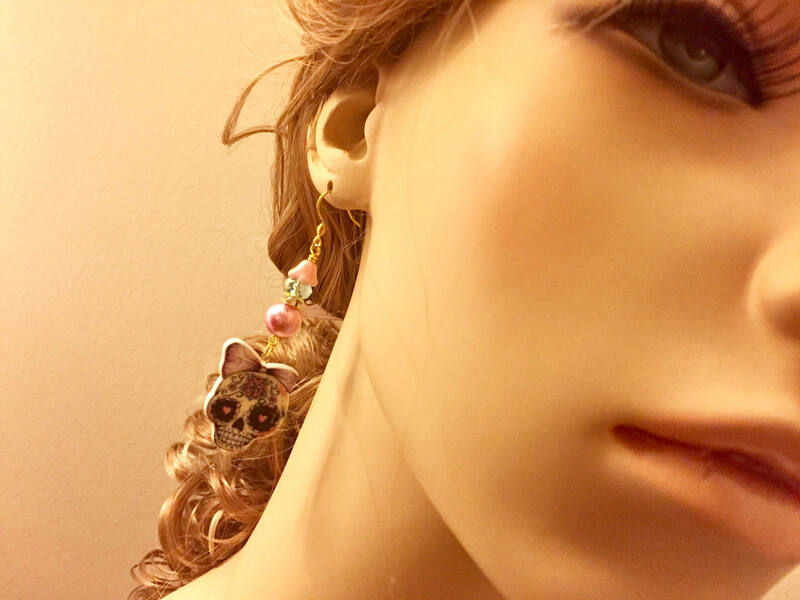 These are long - they dangle about 3 inches from the top of the ear wire to the bottom of the cute skull. 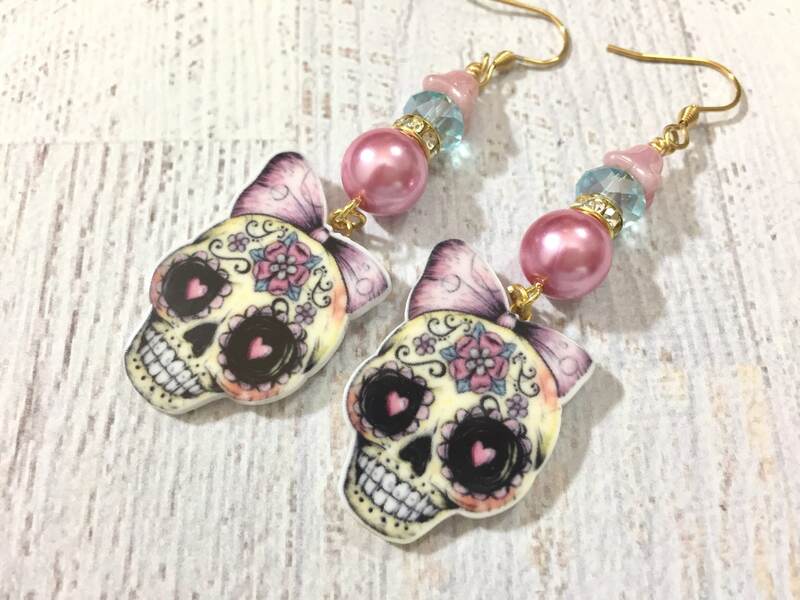 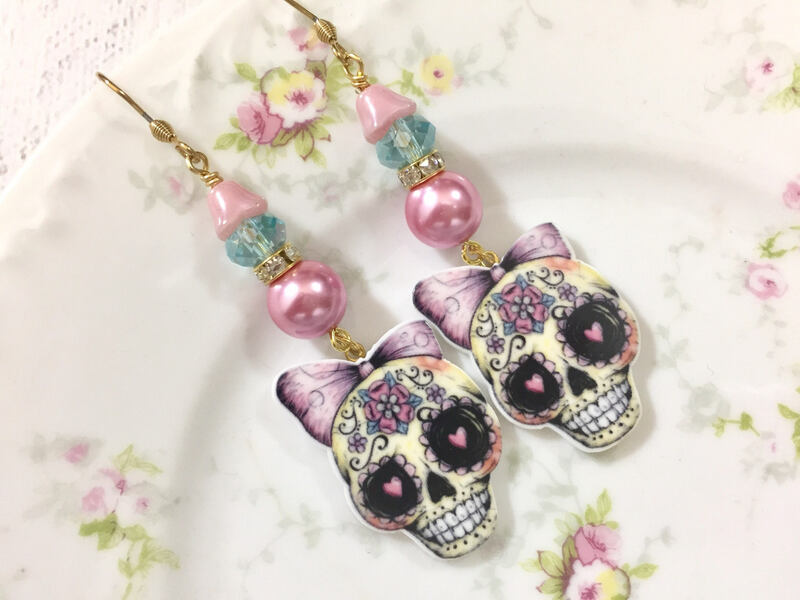 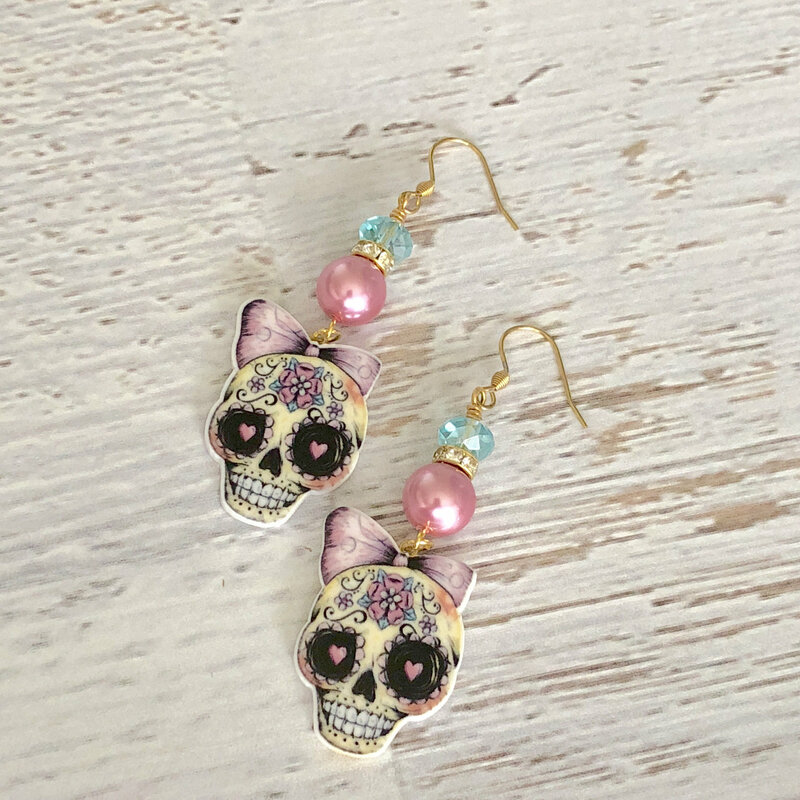 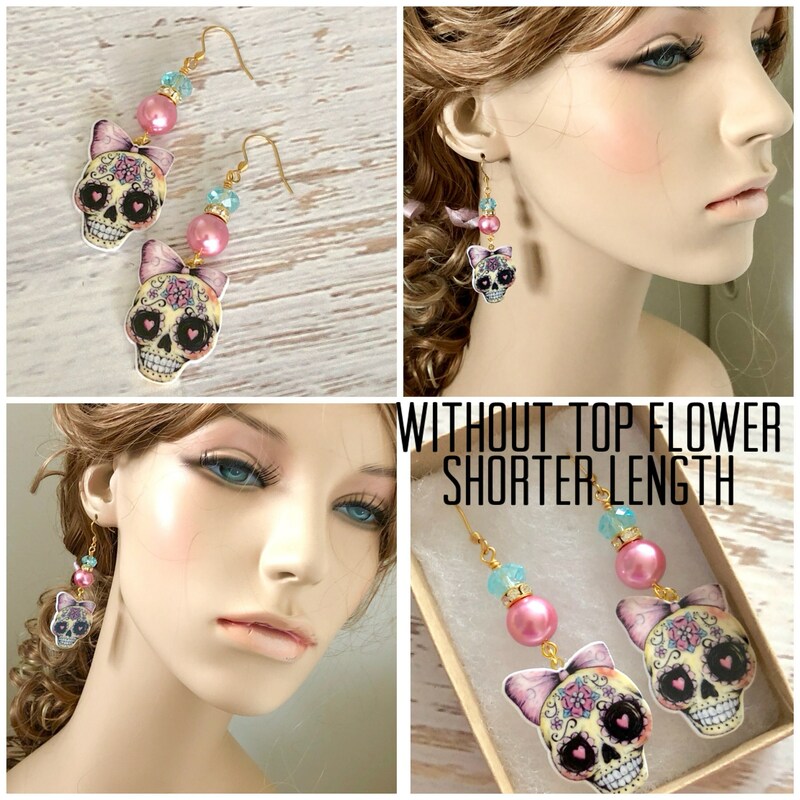 If you'd prefer a shorter length, but still the same prettiness, I can make these without the top pink flower - this will make them just shy of 2.75 inches from the top of the ear wire to the bottom of the pretty skull. 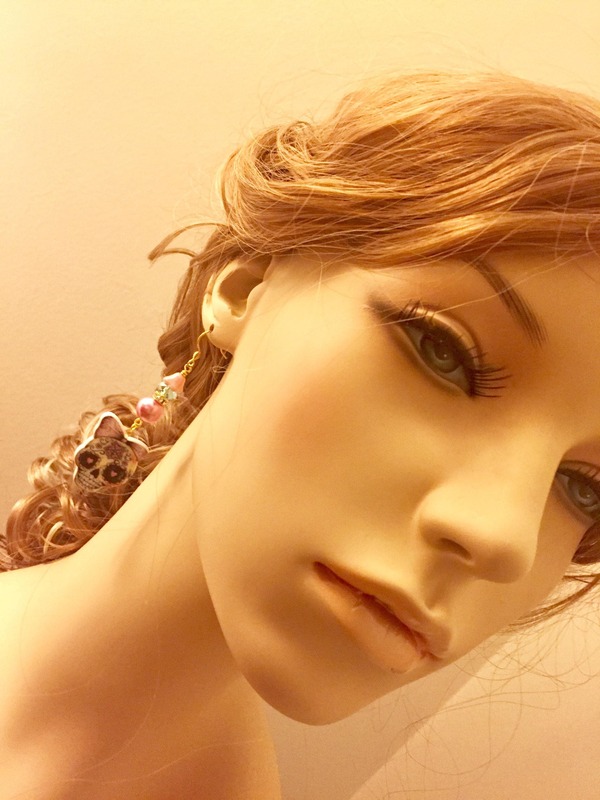 Please choose length preference at checkout. 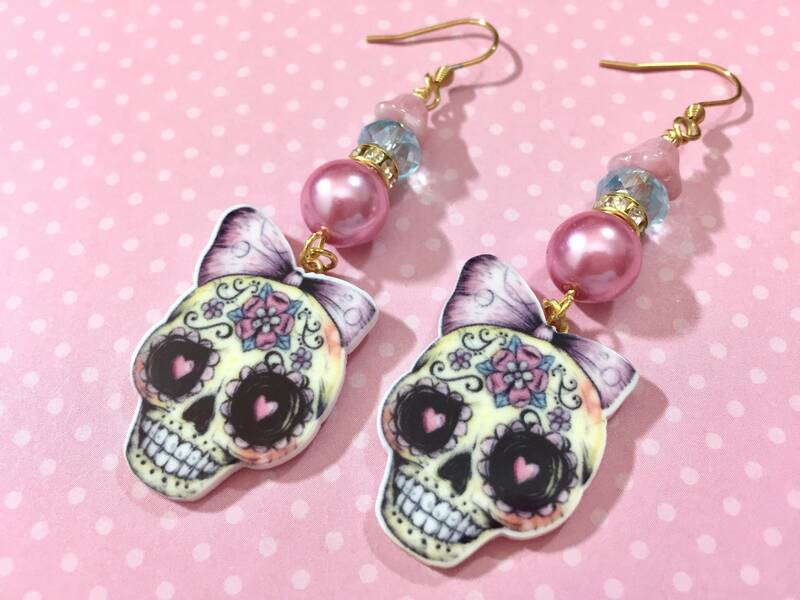 Please note: These are MADE TO ORDER so please allow up to 72 hours for me to make your earrings prior to shipment.